Is the daily grind getting you down? 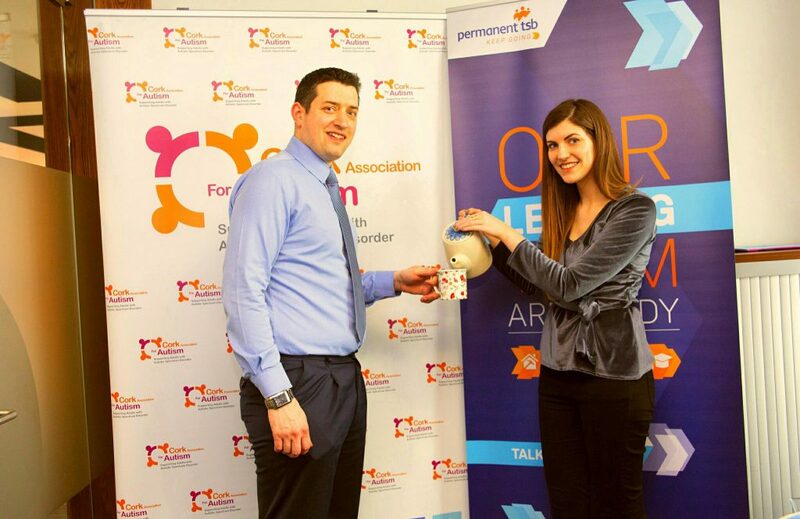 You can bank on Permanent TSB’s series of coffee mornings taking place in aid of the Cork Association for Autism to put a smile back on your face with the promise of good vibes and a cup of positiviTEA! Starting next Thursday, May 17th Permanent TSB will host a coffee morning in their Carrigaline branch and the very next day Friday May 18th will host same at their Douglas branch. All are invited to pop in and join them for a cuppa in support of a fantastic local charity; The Cork Association for Autism. The story of the Cork Association for Autism begins 40 years ago when a group of families in the Cork region were left frustrated at the lack of information, knowledge and fundamental support services available to those affected by Autism Spectrum Disorder. These pioneering founding families came together in determination to secure their children’s futures and armed with nothing but sheer perseverance and belief in their cause, they founded the Cork Association for Autism in 1978. Supports provided by the organisation have flourished over the years and today the charity provides a range of services including Residential & Respite Care, Day Service Facilities, Home Supports and an Asperger Syndrome Support Service.